iCollections 4.2.1 – Organize your desktop icons. Compatibility with the newest macOS. Next story VideoboxPro 1.3.0 – Capture just the audio from videos. Previous story Fresh 2.8.4 – File managing app. iCollections 4.5 – Organize your desktop icons. 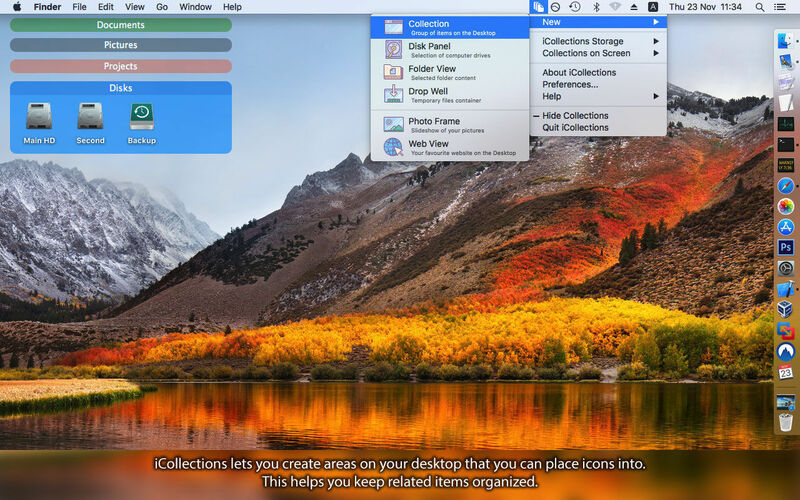 iCollections 4.5.1 – Organize your desktop icons.